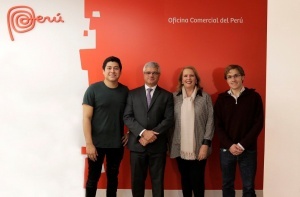 Following the First Gastronomic Encounter of Peru in Spain, organized in Madrid by the Commercial Office of Peru, we realized the need for Peruvian restaurants located in Spain to regularly stock up on fresh products typical of Peruvian cuisine. García Mateo & Sinova with a 24-year experience importing perishable products from Peru accepted the challenge and are already being produced weekly by air the imports of ethnic products so necessary for Peruvian cuisine such as peppers, lucuma, corn, lemon Peruvian, etc. The aim of GM & S is to maintain the continuity of these imports during all the weeks permanently.